Product #20903 | SKU 1900-017-110 | 0.0 (no ratings yet) Thanks for your rating! 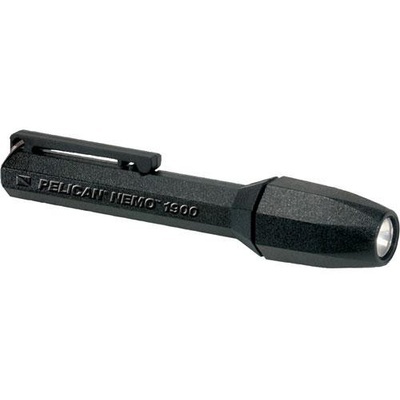 The Pelican 1900 (Black) with its high intensity 1.1W Xenon bulb is a practical and convenient dive light. It's great for looking under ledges and perfect for night dives. The light is submersible to 100 m.
The twist-on-off shroud makes it easy to use even when wearing dive gloves.